As summer approaches. plans are being made to get out and explore nature and the wonders of our great nation. One of the most visited sport in the US is the Grand Canyon. I have never been there and it is one trip I plan on doing with in the next 2 years. 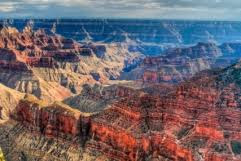 When I read the article Why Your Should Go Grand Canyon Camping I go t really excited about seeing the wonders of the Grand Canyon. I hope you enjoy the article as much as I do and it gives you information to start planning a great camping trip. The Grand Canyon is truly the greatest place to go camping. Please comment and let me know about your adventures at the Grand Canyon.